Know the day to day schedule for Construction: The homeowners should know exactly when workers will be coming and going during the work day. This will give the family some privacy and also the security of knowing that no one will be in the home unplanned. An open line of communication will help both parties stay in contact and up to date on any scheduling needs or changes. 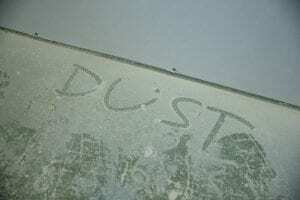 Create Construction-Free Zones: No matter how hard you or your contractor tries, dust happens. 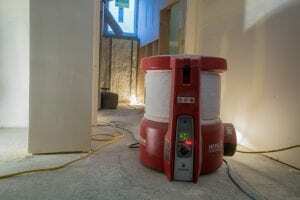 However, there are ways to successfully minimize the dust including a HEPA Filter. These are systems that draw dusty air out of the house and return clean air to the space. 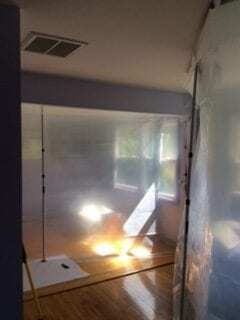 Additionally, enclosing the job site with a protective “wall” (taped or zipped) will create a dust barrier between the construction zone and the living areas. 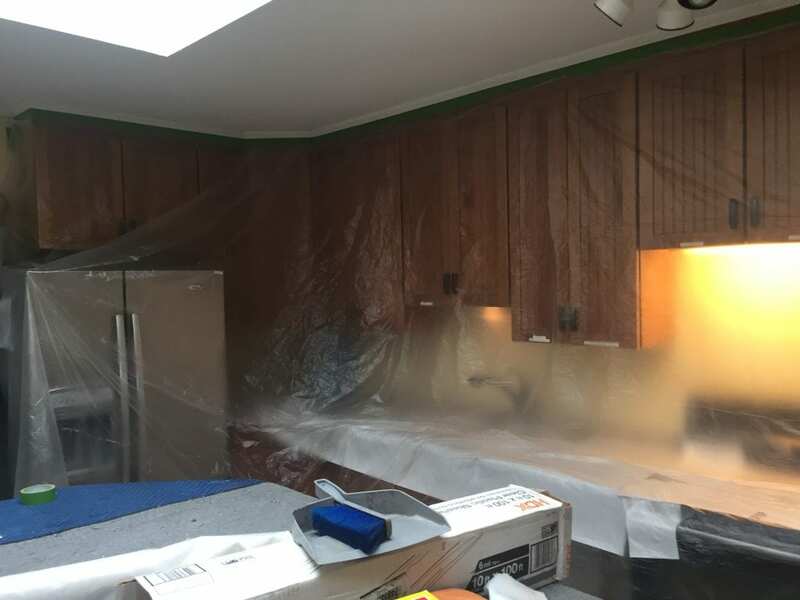 One of the most important aspects is to protect the site of the job so be sure to discuss ways to contain dust to designated areas with in order to make your stay in the home during construction more enjoyable. Build Clean is our go-to product for the best dust management during the renovation process. Floor Protection: While the floor area cannot always be “construction free”, it certainly needs to be protected. 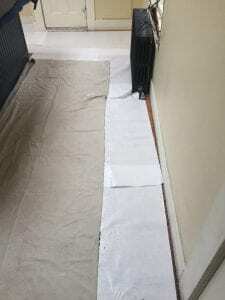 Floor protection is key to a successful livable remodel. There will be foot traffic, moving of equipment and the like, our team of experts will utilize a variety of methods to protect your flooring during the renovation process. We understand the importance of keeping your floors safe. 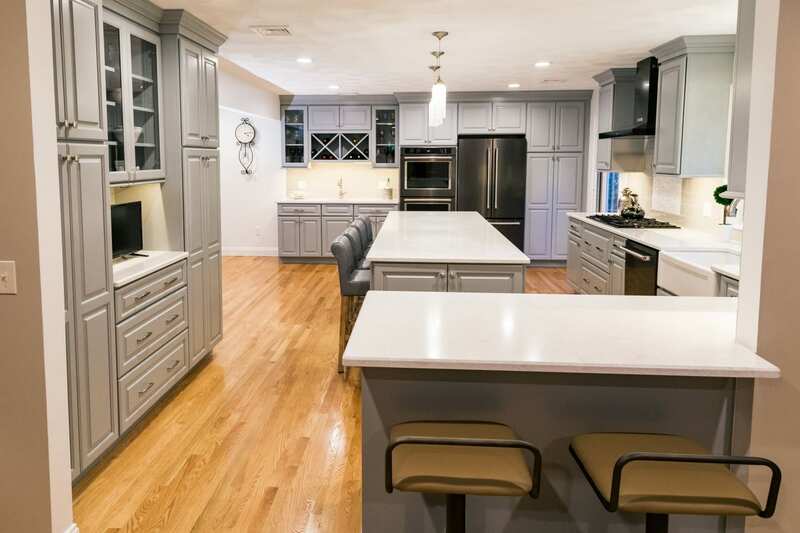 The Project Manager or Contractor should provide a daily working schedule: Although you are hoping for the remodel to be completed in a timely fashion, you also want to enjoy dinner with your family in peace and quiet without power tools and construction crews in your home. Agreeing to a set time for carpenters and sub-contractors and knowing the construction plan for that day( i.e. : water turning off for plumbing or electricity turned off the install lighting) will minimize the feeling of being invaded by workers and help you plan your day accordingly based on the construction agenda for the day. A very workable schedule might be something like 7:30am-4:30pm. It doesn’t matter what time youchoose as long as you feel that at a particular time every day you know you will have your privacy for the rest of the evening. Prepare for the Project: There are many things you can do to preserve your belongings during a remodel. 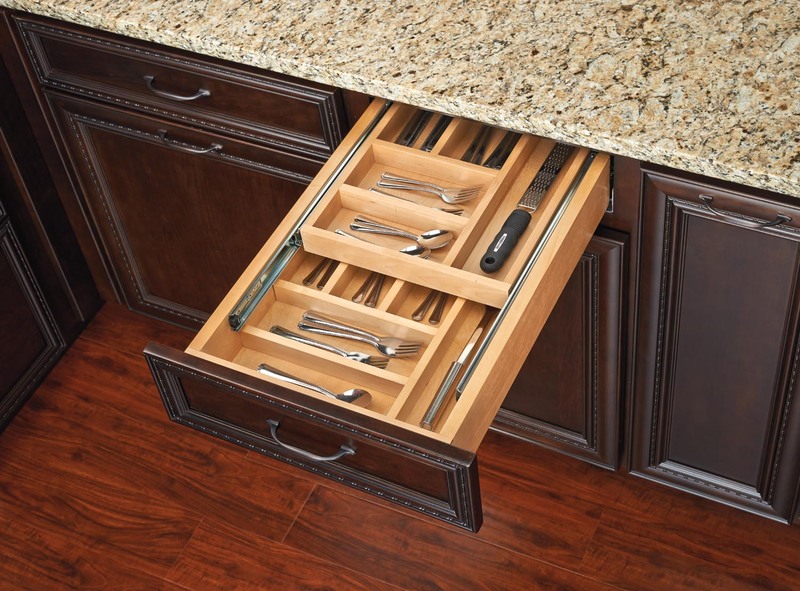 Remove fragile decor, both in the construction location and most other places around your home to avoid breakage. Ensure the Contractor cover/blocks HVAC vents to prevent dust from flying throughout your home. Be sure not only the children know where kid-safe places are, but pets are monitored as well. Remind the entire family about safety such as simply wearing shoes at all times during construction. Time to Start Construction? It is clear that your normal routines will be disrupted for some time. 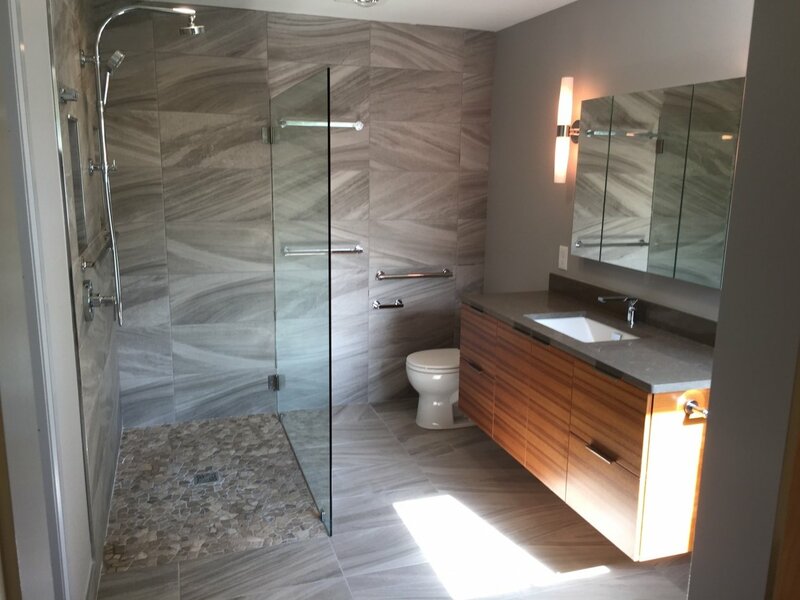 But, by having all the details and decisions ironed out prior to starting construction, allows for the contractor to work efficiently and effectively with minimal daily interruptions or questions for the homeowner. So, planning a vacation during the remodel is not out of the question and in-fact will give the homeowner some relief from construction yet still be available remotely for any unforeseen decision making Another option is a remodel during the summer months, outdoor cooking and even outdoor relaxing are great ways to escape from the construction zone. At the end of the day pre-construction planning allows for a smoother and less invasive construction phase. 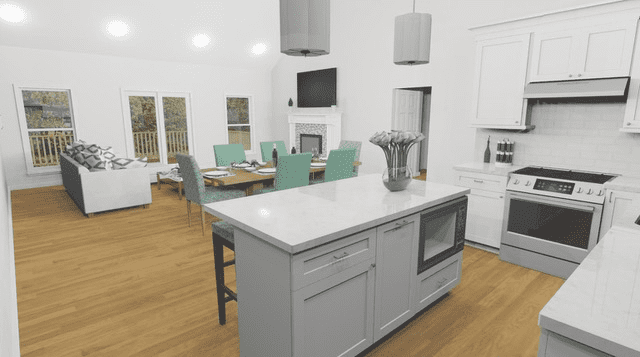 Most of us don’t have a vacation retreat to escape to, so the decision to live in the home during a remodel is financially sound and probably the most convenient solution for families. 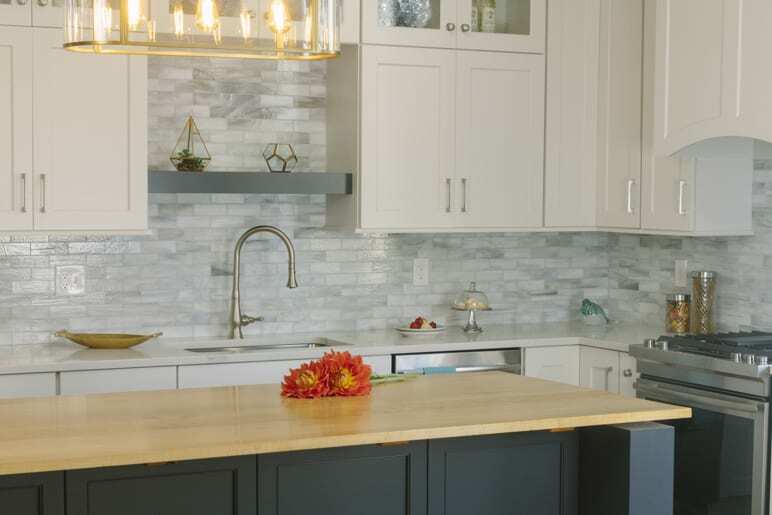 Careful planning, communication with your contractor, and following the guidelines above will ensure a successful live-in remodel adventure resulting in a beautiful new home.